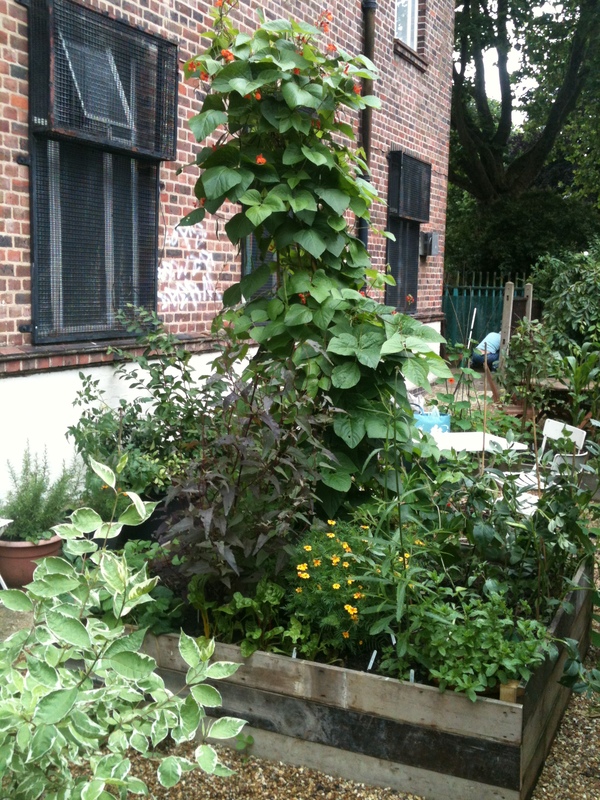 For the last two years we’ve run a food growing space at the back of HNCC, where we have successfully grown vegetables, salad and herbs, and held growing workshops, and community meals. This year we’ll continue with the original garden but have expanded to manage six new raised beds in the second garden at the back of HNCC, to provide fresh food for the community centre cafe. A further new growing space ­ for vegetables, herbs and edible flowers has recently started at the front of the centre, in the nursery playground. This will run for a year and be jointly managed by Transition along with other community groups. The aim is to use every part of HNCC, to let the council know how committed the community are to saving it. Please come along on Sundays, learn to grow food with us, and take home what you harvest. Please also let us know if you would be interested in volunteering to help run a weekday growing session. Email transitiondp@gmail.com for more info.